A Thanksgiving Gift for my Readers! I am so grateful for all of you who follow my blog and read my book series. On this Thanksgiving Day I want to thank my Lord and Savior, Jesus Christ for my very life, my very existence, my redemption, and for my purpose. I hope you have a wonderful Thanksgiving. 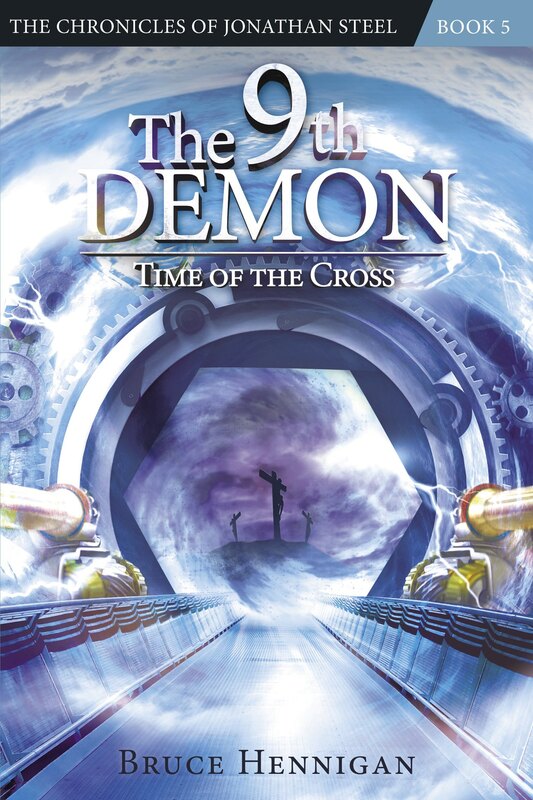 If you live in the Shreveport area, don’t forget to come by Friday night, December 6th for my book signing and launch of “The 11th Demon: The Ark of Chaos”. All four of my books will be available and they would make GREAT Christmas gifts! Nehru jacket, and a silver chain hung around his neck. On the chain, a red jewel glistened in the weak light. The demon’s features were dark beneath a shock of black hair. His eyes were disturbing: totally white with no pupils. “Then why do we keep him alive?” The demon crossed his arms over his chest. So that was why they wanted me. They were using me to get to Mary! “Molly,” I whispered. Nausea overtook me and I retched. Lucas was right. I was empty, impotent. I could no longer see my Lord; only the girl and Molly’s hauntingly beautiful face. “You see, Father, it is not the eleventh demon who has harmed the girl.” He reached out, grabbed my collar, and tore it from my neck. “It is you.” He grasped the top of my shirt and ripped it from my body. 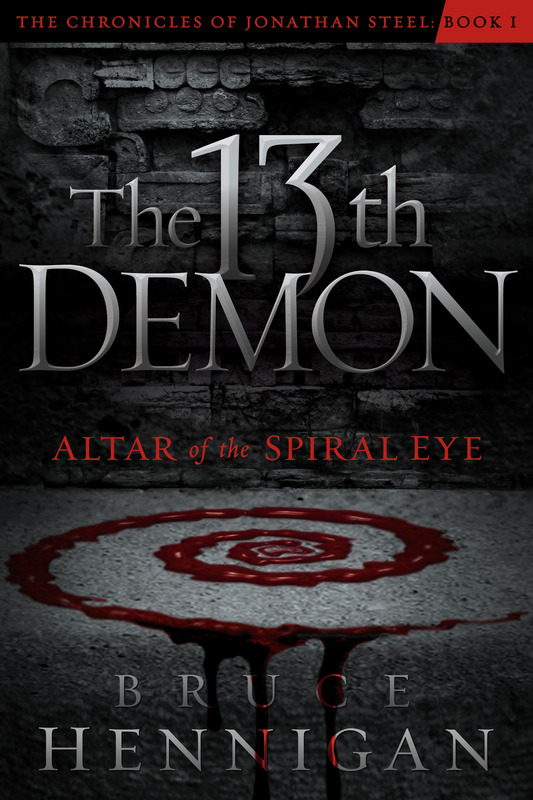 I shivered in the cold air as Lucas gestured to the demon. “For you have forsaken the only Power that would allow you to defeat this demon and to save them. In betraying your master, you have unwittingly betrayed your love.” He unbuttoned his coat and it fell open to reveal his bare chest. “You are lost, Father. 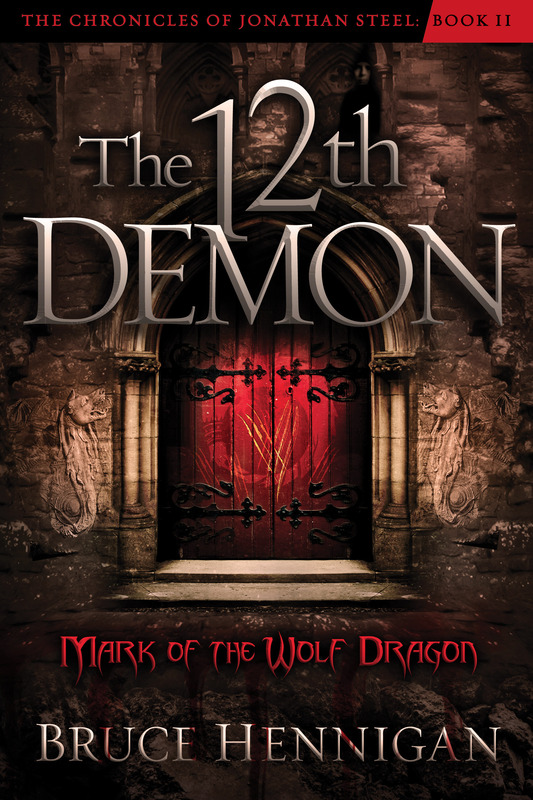 But, there is one way you can save the mother and the girl: Swear allegiance to the eleventh demon. Once you do, this mark,”— he brushed his coat aside and a hideous tattoo of a beast stirred to life on his flesh—“will be yours. It will live right here.” His cold fingers caressed the skin at the base of my neck and I flinched. Lucas’s chest was covered with tattoos. A scorpion squirmed across his collarbone. The head of a wolf howled over his breastbone. But, these were no ordinary tattoos. They lived! Arcane creatures moved and struggled on his white flesh. This new tattoo was one I instantly recognized. I had seen it in the ancient book—I wish I had never opened it! The creature was a chimera, a beast with the head of a lion, a snake for a tail, and, coming out of its back, the head of a goat. “If I swear allegiance to the eleventh demon, will the lasses be safe?” I closed my eyes and saw Molly standing at the church altar with the girl’s hand in hers. God forgive me! Lucas stood up and raised an eyebrow. “Your plan?” he asked the demon as he studied my face. The demon stiffened. “Listen, underling, you will not speak to me that way! I know what you are and you are not one of the Fallen. You may be the right hand of the Master, but I am far superior to you. The Master trusts me, Lucas. Take me to the girl. Now!” His voice grew in volume and for a second, I saw the beast that possessed the human rear its ugly head. It was like a specter surrounding the man. Lucas smiled, his impossibly white teeth gleaming in the darkness. “If what you say is true, then you will not mind if I consult the Master.” Lucas held out his hand. A swirl of red smoke billowed from his palm like a small tornado and then a pleasant, handsome face appeared in the smoke. Was this Lucifer? He was more fair than foul. The demon floated toward me and the odors of fire and soot surrounded us. He knelt before me, the golden talisman flickering in the periphery of my vision. He put his left hand, hot and sweaty, on my forehead. I tried to pull away from those hideous empty eyes. Lucas moved behind me and held my head in his cold hands. I was frozen with fear, paralyzed by their inhuman power. The thin gold needle appeared at the edge of my vision. It plunged into my right eye, and then there was pain beyond imagining. The 11th Demon Draws Nigh! 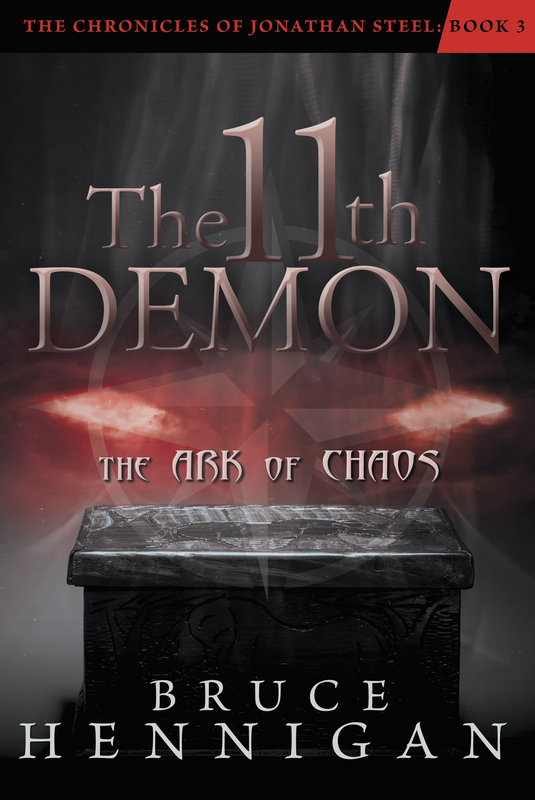 Friday, December 6th, 2013 at the Well (coffee shop) at Brookwood Baptist Church (corner of I49 and Bert Kouns) is the OFFICIAL launch of “The 11th Demon: The Ark of Chaos”! Details will follow but basically I will be signing the new book and my three other books from 6 to 8 PM. I know Christmas parties will be in full swing by then so I am making this a come and go event. Come have some coffee in the Well and some Christmas snacks. I’ll be giving away some prizes (no need to wait for them — I will email them or mail them if you win!). So, make it a demony Christmas! It’s Beastly on the Inside! The tree was over twenty feet tall but it had the perfect top. I was freezing and a light drizzle made the ground slippery. Soon, the drizzle would begin to freeze and my family would find itself isolated in the countryside by a two week ice storm. Living in the country, our water came from a well and any interruption in electricity deprived us of water. But, I wasn’t considering this coming ice storm. I was only concerned about our Christmas tree. It was December, 1966 and I was eleven years old. I was halfway through my sixth grade year and already, I had grown three inches since the summer. Changes were happening to me that in time I would learn were due to this weird thing called puberty. And, perhaps it was my surging testosterone that allowed me to climb a slippery, icy tree in the cold winds of December. My father worked for the Post Office. Long before UPS and FEDEX, the post office was the only way to ship packages at Christmas. My father dreaded this time of year. Beginning in early November, he knew he would be swamped at his job. Extra hours were added to his work schedule. He would leave before 5 AM and not return before 6 PM through most of the month of November and December. Each year, my father and I would go out into the vast wooded area of our 62 acres of pasture and forest and choose a tree for Christmas. 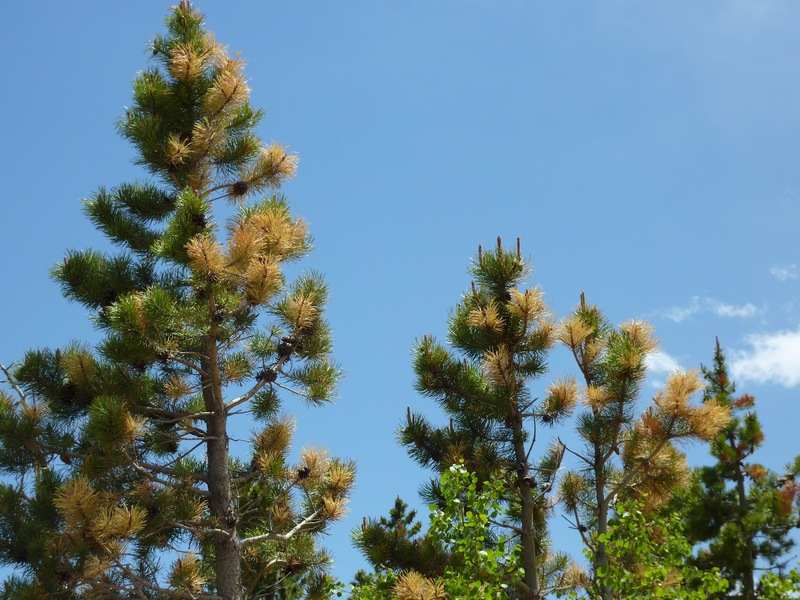 The only kind of tree we had to choose from were long needle pine trees. They were never as shapely as a spruce or fir, but they were fragrant and fresh. And, being the poor folk we were, we couldn’t afford money for a fancy real tree. But, this year was different. My father had taken on an extra late shift and would be working until midnight for the first two weeks of December. I had the choice of waiting until the end of December to go with my father and cut down the tree, or I could do it myself. I was eleven now. I was growing into a young man, as my mother was fond of telling people. Bolstered by her comments, I was determined to prove myself. And so, I set out on this dreary gray Friday afternoon looking for the perfect Christmas tree. And there it was before me. Problem was, it was the TOP of a tree! No problem. I loved to climb trees. I would just shimmy up the tree and cut out the top. I had my father’s bow saw looped over my shoulder and my fake leather gloves on over my corduroy coat. I started up the tree and was a bit shocked at the slippery limbs. 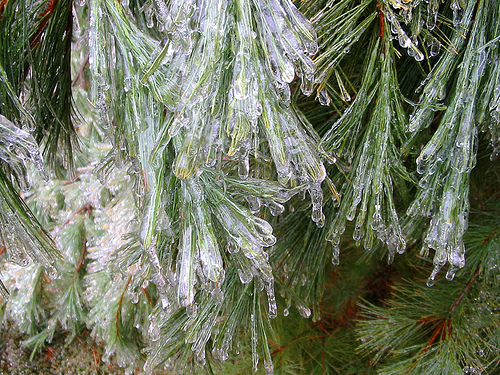 Was that ice forming on the ends of the pine needles? I hoped so. That might mean we would finally have a White Christmas! I longed for snow at Christmas all my life. 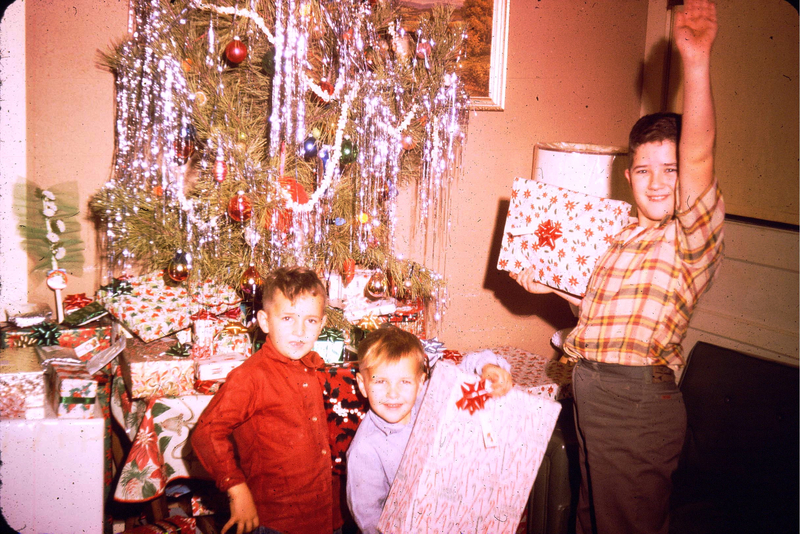 I recall one very cold night after watching White Christmas on our new color TV. I was about 9 and I went to the back door of our house. High up in the eaves, my father had mounted a spotlight to illuminate the back yard. I turned it on and leaned out the back door. I craned my neck to look up at that light and waited for snow flakes to drift down around it. It was only days before Christmas. I knew if I longed for it hard enough; if I willed it to happen snow would fall. But, the skies were as clear as could be with a million glistening stars against the black velvet of a countyside night. No snow. I stood there until I had a crick in my neck and my nose was numb from the cold before giving up and going back into the house. Now, as I climbed that tree, I said a silent prayer for snow. It would be answered all right. Two weeks of snow and ice and frigid, frozen weather that would close the schools and make our coming Christmas possibly cold and without electricity. I picked the level that would become the base of the Christmas tree and started sawing away. My hands were already numb from the cold but I soon warmed up as I drew the sharp toothed saw through the soft flesh of the pine tree. The smell of resin engulfed me. I felt the limb I was sitting on shift and a sudden wind saved my life. I slid to the side just as the tree top above me snapped along the line of my saw cut. The top of the tree toppled to the side and then kicked back with the sharp edged rim of the saw cut. If I had not slid sideways, the bottom of that toppling tree would have decapitated me. The tree top finally snapped away, the rest of the uncut flesh ripping away. The tree top slid through the limbs beneath me and I fell off the limb. I clawed at the trunk and the limbs as I slid downward but the now icy bark refused to give my hands purchased. I finally wedged between two of the bottom large limbs and came to a painful halt. The bow saw tumbled down from above me and barely missed my head. I sat there gasping for breath and began to shake. I could have been killed! What was I doing? Risking my life for a Christmas tree? 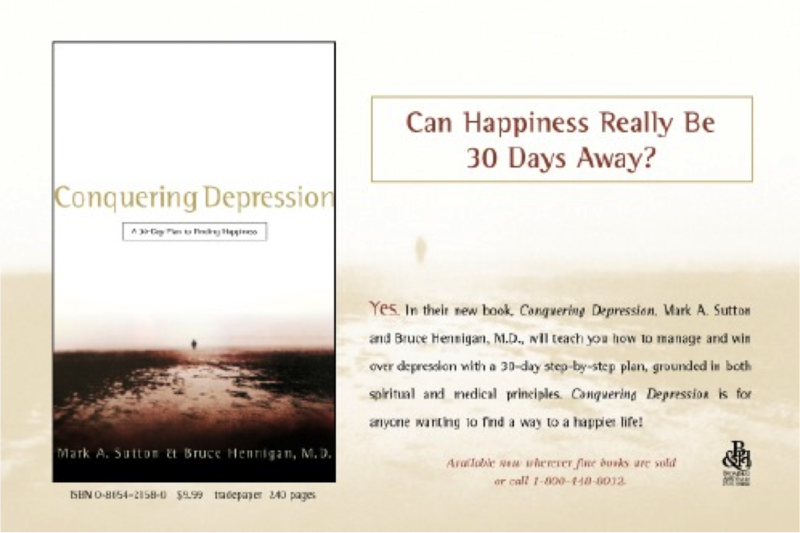 The feeling of fear and panic began to subside and I felt something new, something fresh. My heart was thumping and my breath was erratic but I had accomplished something on my own. It had turned into something dangerous and I suddenly realized that making decisions on my own would be a risky business. This is what it meant to be grown up; to find yourself faced with a lonely decision and then having to face the consequences. Learn from this, I told myself. Don’t ever cut the top of a tree off by yourself. I slowly descended the rest of that pine tree. I found the saw and cut away the ragged bottom of the tree top. By now, night had fallen and the ground was icy as I dragged the tree back across the pasture toward my house. It seemed like forever by the time I pulled the tree across the pasture to the back of my house. I left it there and stumbled inside to warmth and the smell of fried chicken and mashed potatoes and the warm smile of mother. My father sat at the kitchen table. I was shocked. They had let everyone come home early on this Friday. I told them I had cut down the Christmas tree on my own and the look on my father’s face was priceless. His mouth fell open and he couldn’t believe it. My mother hugged me and was proud. Until we saw the tree the next morning in the light of a gray dawn. It was lopsided and crooked and ugly. I was disappointed but my father clapped me on the back. That’s me standing next to the ugliest tree we had ever seen for our Christmas. In the following days of darkness and cold without electricity, the fragrance of that tree lifted our feelings. It promised coming days of life and light and the joy of Christmas. The electricity returned in time for Christmas Eve but we didn’t go back to school for three more weeks due to a flu outbreak. But, that tree was very special to me. I would lean over and look up through the branches of that tree at the gleaming lights and the shining ornaments and the glistening tinsel and I was once again above the ground suspended above the world; just me and my tree. Years later, this incident would be the inspiration for that scene in the play, “The Night Gift” I mentioned in my last post. Eventually, I took that scene and wrote an entire play around it, “The Homecoming Tree”. 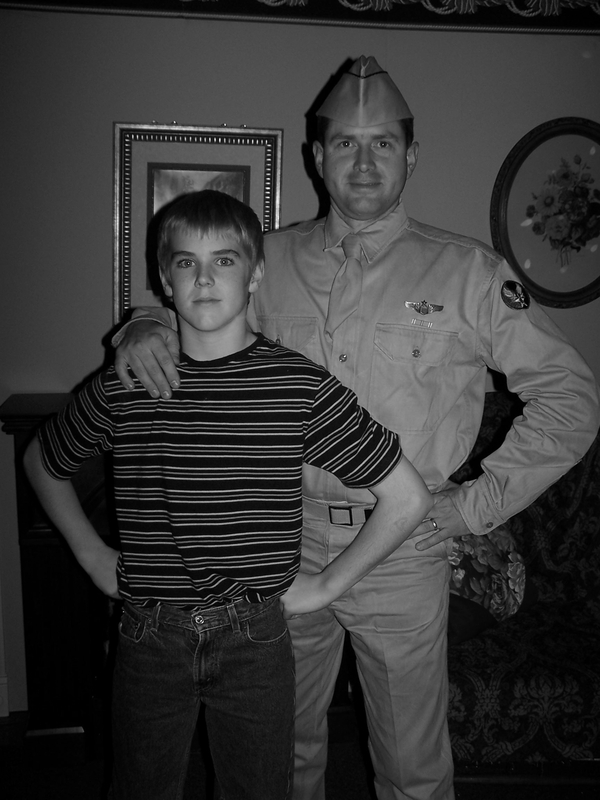 It is the story of a young boy who has lost his father to the attack on Pearl Harbor. He must cut down the family Christmas tree alone so he can become the man of the house. 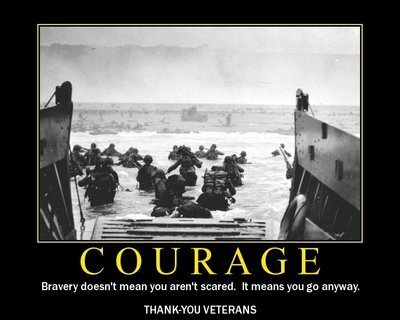 The story revolved around my parent’s experiences at the beginning of World War II. I have rewritten the play and I am working on a novelization of the work. One day, I hope to see it on the big screen — it would make a killer Christmas movie! And, I hope in 2014 I can find someone, someplace, some theatrical team willing to perform my newest version of this play. We’ll see. Until then, enjoy your Christmas tree this year. But be careful if you try to cut it down yourself! A New Star Trek Series? While I am waiting for the availability of “The 11th Demon: The Ark of Chaos” around November 20th (I’ll give all of you a firm date once I find out) I thought I’d share something just for fun. 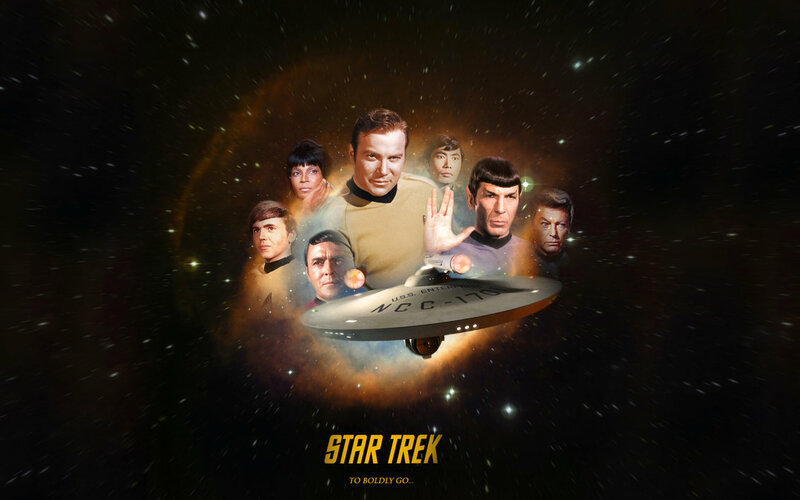 In the past couple of months there has been rumors and suggestions for a new Star Trek television series. The movies have proven successful and now the writers of these two movies think it is time for a television show. Star Trek was made for episodic series. Only then can it deal with pithy and difficult social and humane issues as it did in the 1960’s. You can’t dig that deeply into a movie. But, we can’t simply go back to the original world of Star Trek, can we? Now, we have two parallel time lines so what do we do? What and WHEN would be the focus of the next series? So, if you are a Trekker, then read on. If not, then come back soon for more information on my book. It is the far future and the Borg eventually overran the Federation. All but a few worlds were assimilated. Quadrillions of sentient beings became Borg. Earth became an outlying Borg world with an underground rebellion preventing the planet from total conversion. With over 95% of the Federation worlds under Borg control, the Borg grew tired of the rebellion on Earth and withdrew from a devastated and depopulated Earth. But, the Borg’s greatest strength proved to be their undoing. With so many minds now linked in the Borg collective, the Borg began to splinter. Twelve factions within the collective mind began to strive for dominance. Soon, these sub-consciousnesses drew apart and so began the Borg Civil War. Such battles and such clashes were unparalleled by any in the history of the galaxy. Great war machines were built that dwarfed entire solar systems. Energies were deployed that tore holes in the very fabric of space. Biological and genetic weapons decimated normal genomes and created horrific spawn of the Borg. Entire regions of the galaxy became uninhabitable filled with unspeakable pervasions of space time. Eventually, two factions remained, the Red Borg and the Gray Borg. These two remaining collective “minds” could have recombined and saved the Borg, but soon the Gray Borg lost ground. In a final desperate move, the Gray Borg unleashed the ultimate doomsday device. Arcane energies rippled through the remaining Borg collective, reducing all living matter to goo and disintegrating every Borg circuit. Silence fell across the known galaxy. Borg ships and war machines drifted in cold, harsh space and peace filled the devastated territory of the Alpha Quadrant. On Earth, a remnant of Starfleet had been biding its time, rebuilding quietly within the very wreckage of the Borg machinery and the tortured Earth. Salvaging Federation starships and merging them with Borg technology, Starfleet’s weakening pulse grew stronger. Once the Borg mind fell silent and was no more, this ragtag group of sentient beings emerged from the shadows to rebuild the Federation. And so, the new Federation of Planets was created built upon the ashes of the dead and decaying worlds of the Borg collective. It was time to rebuild civilization by reaching out to worlds once prosperous and powerful. It was time to boldly go into an unknown universe far more dangerous than ever before. What remnants of the Borg Civil War await our intrepid starships? What horrors born from the great war machines and biological weapons await discovery? This could be the new Star Trek! What do you think? Where would you like to see a new Star Trek television go?